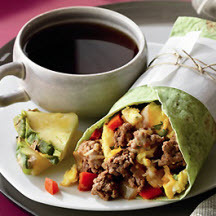 CooksRecipes has quality, kitchen-tested recipes for Southwestern and Mexican-style breakfast sandwiches that you can count on for successful deliciousness. 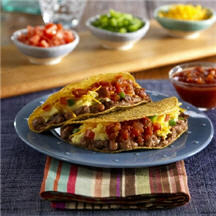 These breakfast tacos are the perfect way to start a busy weekend. Prepare all ingredients and invite family and friends to a fix-your-own taco feast. 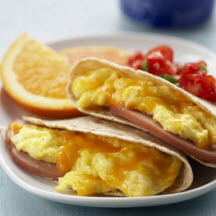 Spice up your on-the-go egg breakfast with a quick and easy quesadilla.